A laundry can either be open to the public, in which case it is called a laundry store or a self service laundromat, or it can belong to a firm specializing in laundry: in this case, it is called a laundry service, a place where linen can also be bleached and ironed. If the laundry service is within a hospital or a hotel, it is usually simply called a laundry room. Laundry room is also the term used to describe a dedicated space for laundering in a household. This is the difference between a laundry store and a laundry room. 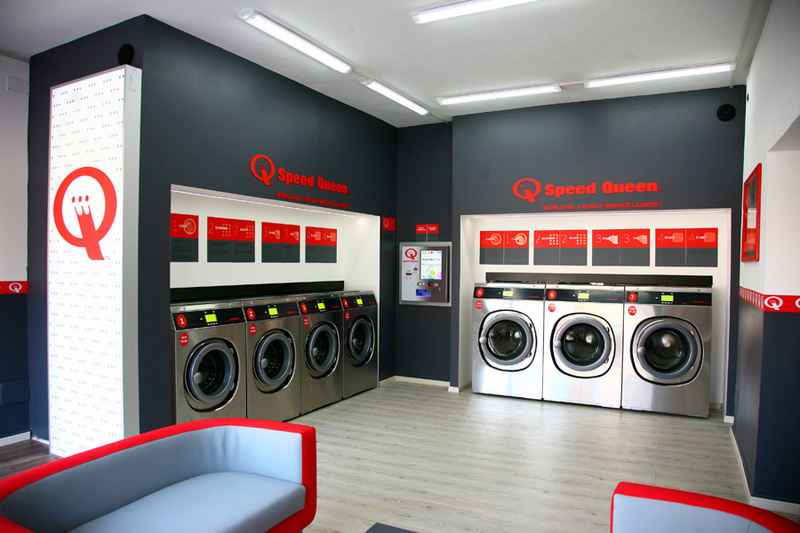 Whether it is a laundry, a laundry room or a self service laundromat, these areas are all equipped with industrial washers (washing machines) and professional clothes-dryers (dryers) with varying capacities. Capacity is, in fact, one of the factors that distinguish them from domestic products: whilst a household machine can wash from 5 to 7 kg of laundry, a professional machine can handle loads of up to 25 kg. The self service laundromat sector is expanding rapidly (especially in France) for a very simple reason: demand just keeps on increasing. At a time when washing machines abound, how can it be that laundries keep on increasing in number? This success is due principally to the demand: not everyone has a washing machine and in some households, a deliberate decision is taken to use a laundromat, in order to save both time and money. In a laundry, you can wash up to 25 kg of linen in no time at all, whilst enjoying the advantage of a professional service. Moreover, some items – such as comforters – are too bulky to be washed in a domestic washing machine. 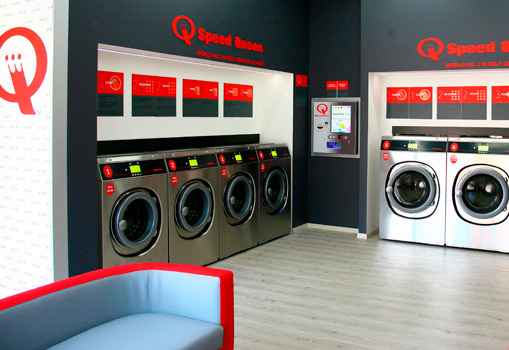 Finally, the laundromat market continues to do so well because opening a self service laundromat is a profitable business and attractive for investors. The initial investment is relatively modest, the fixed and variable costs are reasonable, there are no staff costs, the risk of payment default are zero and the return on investment rapid.